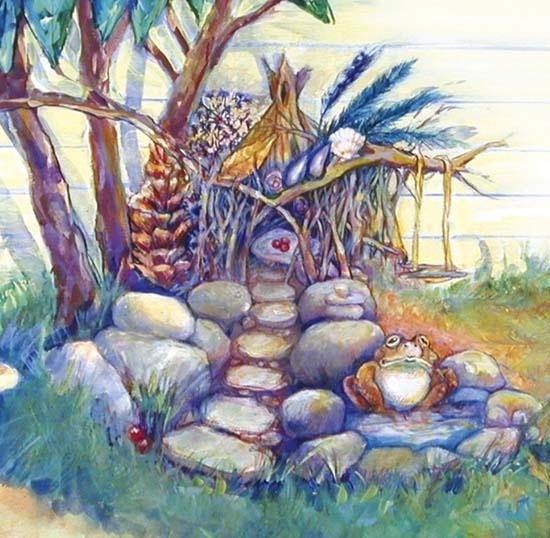 A beautiful illustration of the path that leads to a fairy abode. 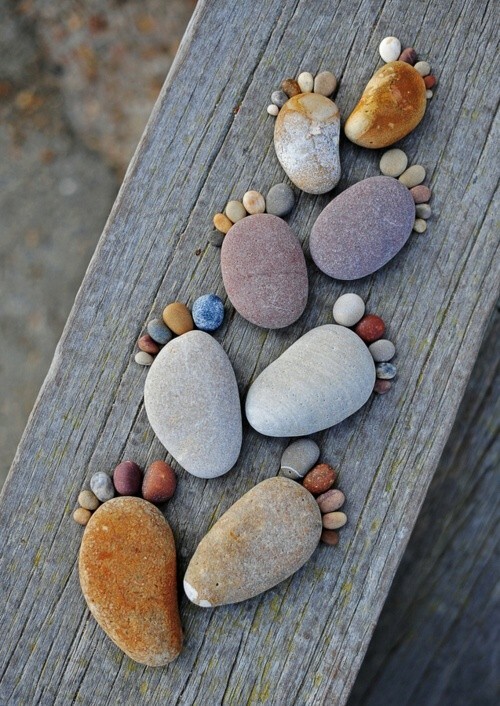 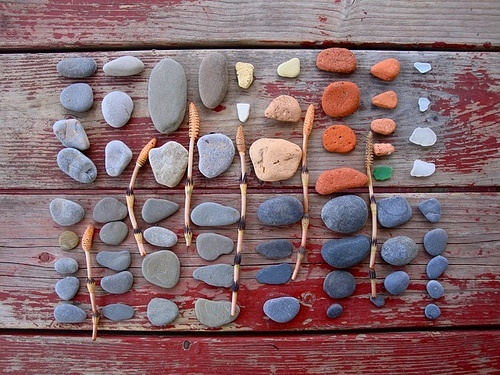 I love this idea of using pebbles to create foot prints. 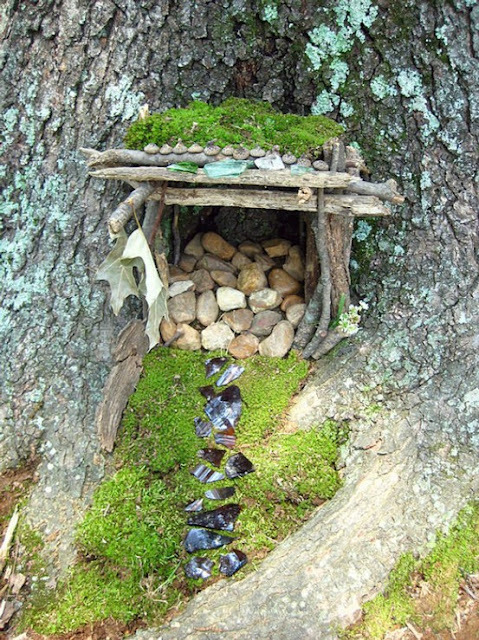 I love how this fairy abode has been created using natural materials and the floor made of stones and the pathway of glass. Image credit: www.commercial appeal.com via Pinterest. 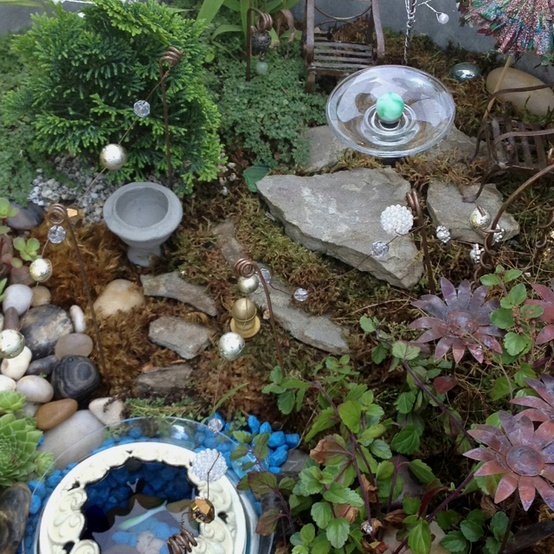 Rocks and pebbles can be positioned to create enchanted environments for the fairies and gnomes! 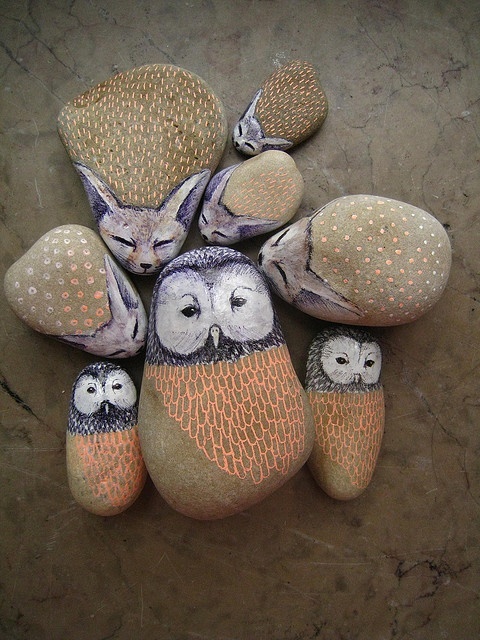 Image credit: unknown - from Pinterest. 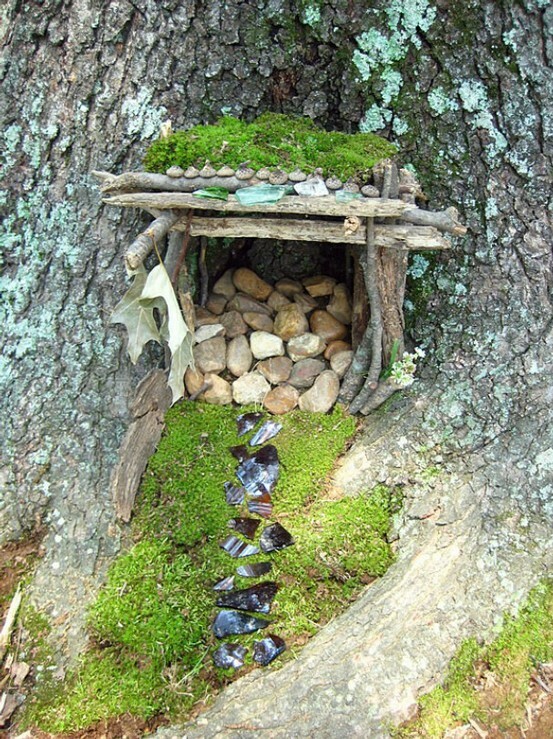 What magic can you create with pebbles in your fairy garden?